When family and friends gather around the table for good food and fellowship, special memories are sure to follow. 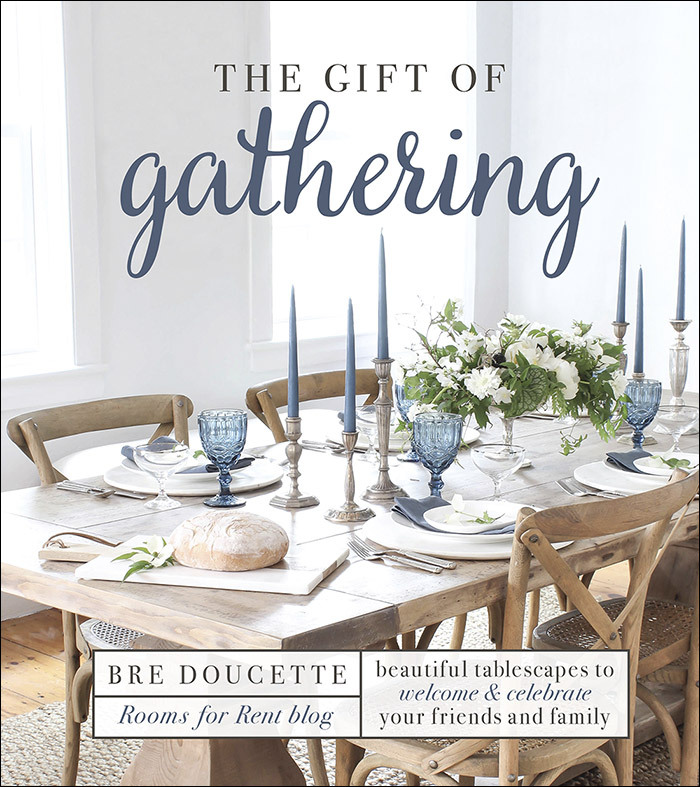 Create a warm and welcoming atmosphere with this creative collection of seasonally inspired tablescapes by popular decor blogger Bre Doucette (Rooms for Rent). Entertaining doesn’t have to be stressful. Bre will walk you through every step of the process from planning the perfect get-together to adding special touches your guests will appreciate and remember. But it all starts with a beautifully set table. No matter the season or reason, from casual to elegant, you’ll discover tablescapes for any occasion. Enjoy an enchanting orchard picnic in spring, an alfresco evening in summer, a festive friends-giving in fall, a reflective New Year’s soiree in winter, and eight other one-of-a-kind gatherings. Throughout, you’ll find lavishly photographed details, unique decorating ideas, and spiritual inspiration. 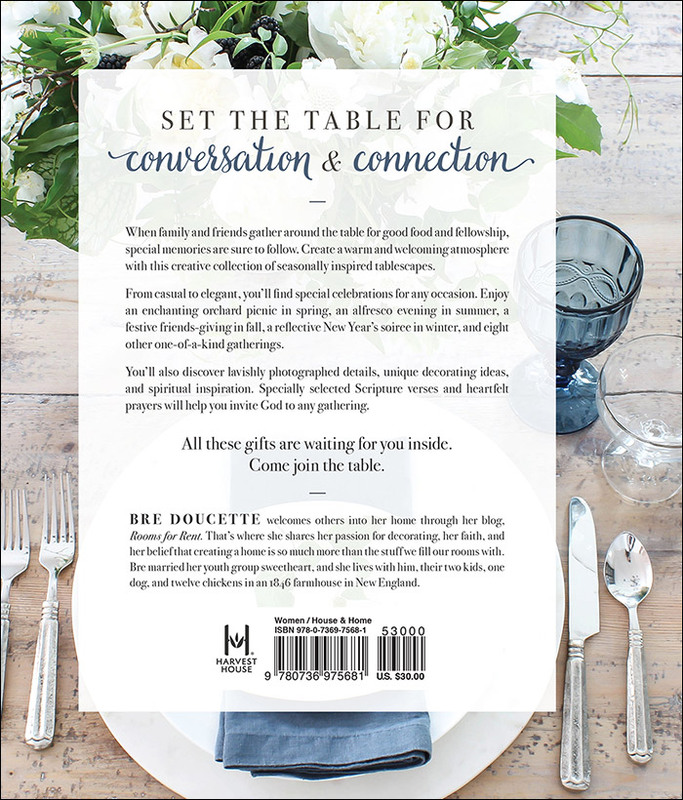 Specially selected Scripture verses and heartfelt prayers will help you invite God to any gathering. All of these gifts are waiting for you inside. Come join the table.